But, this year I decided that I wanted to try something with my Geometry class too. So, here are the steps I went through to make this game. First, I came up with the questions I wanted students to use to review. I didn't want this to be too hard, or take too long, so I decided to limit it to 10 questions. Students will also notice that there are cards with problems posted around the room and that there are envelopes posted on the white board with stickers on them. 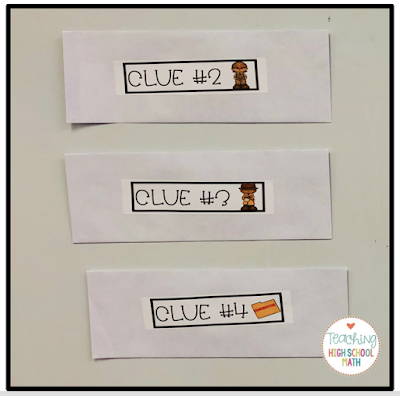 The stickers say Clue #1, etc. 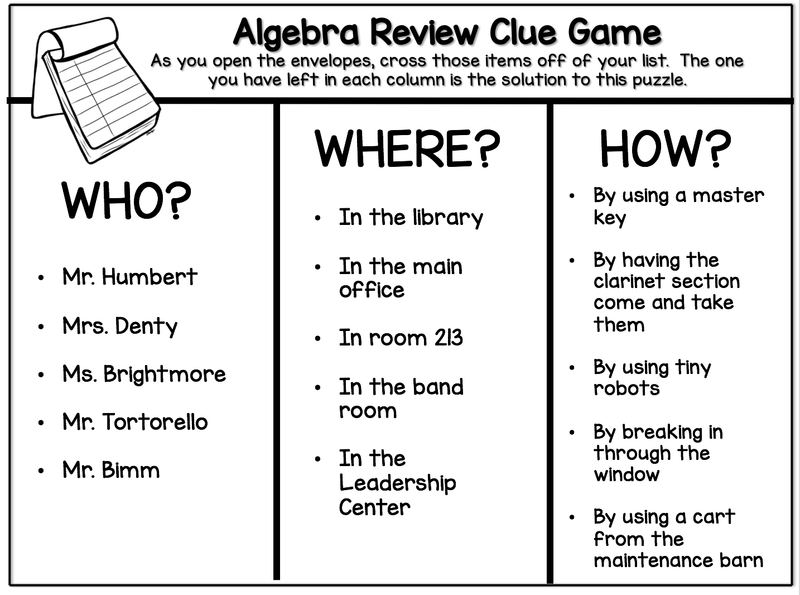 Each clue corresponds to a problem number. When the students solve a problem correctly, they can open the envelope with that problem number on it. The envelopes have pictures/words in them that the students can use to eliminate suspects, locations, and methods. You may wonder how the students know that their answer is correct. That is where some technology comes into this game. 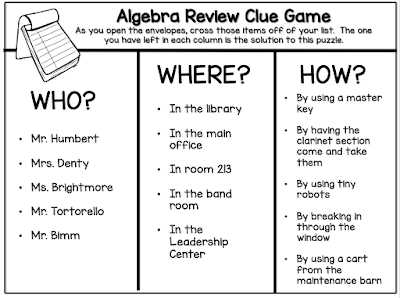 Students will enter their answers into a google form. The google form is set up so that if there answer is correct, it stays white. If it's wrong, their answer turns red and they are invited to try again. 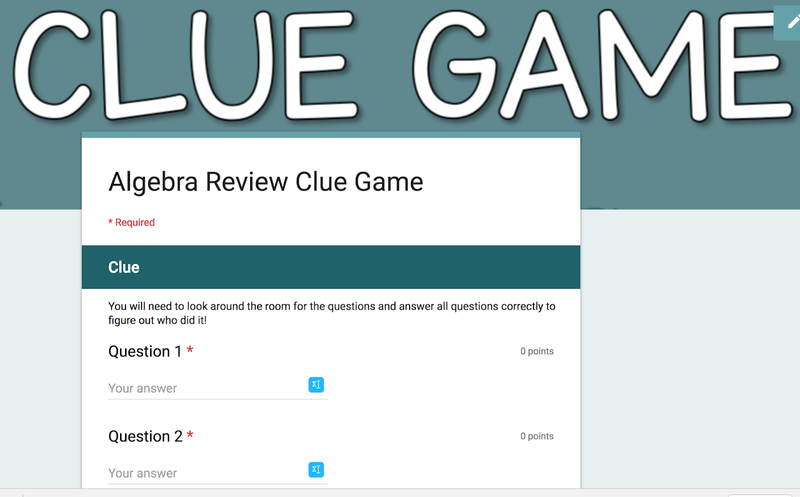 Here is what the google form looks like for this activity. 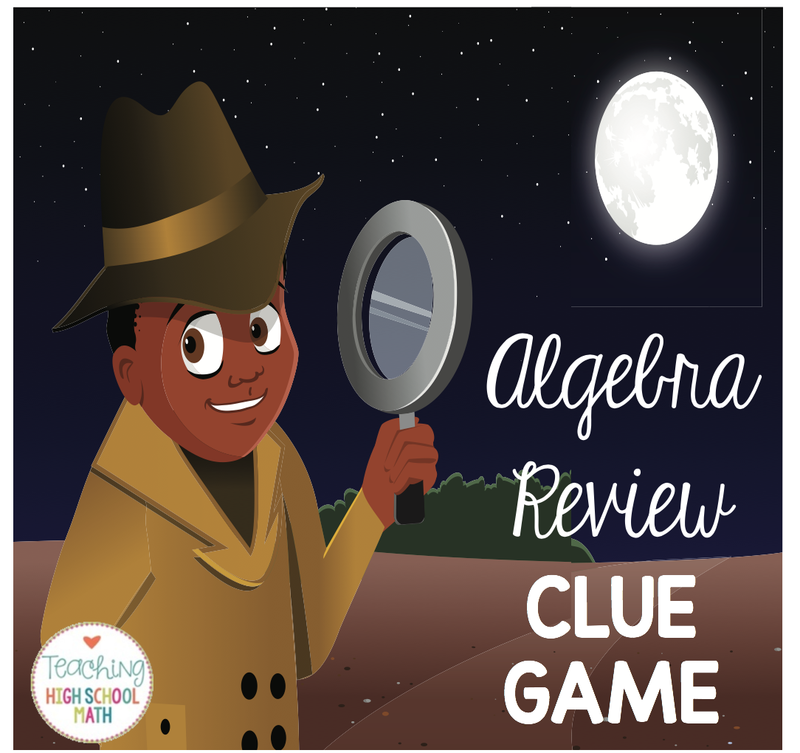 As students eliminate suspects and work each problem, you will want to make sure that they are working with their group but not passing along answers to others. Here is what the list that students use to eliminate suspects looks like. 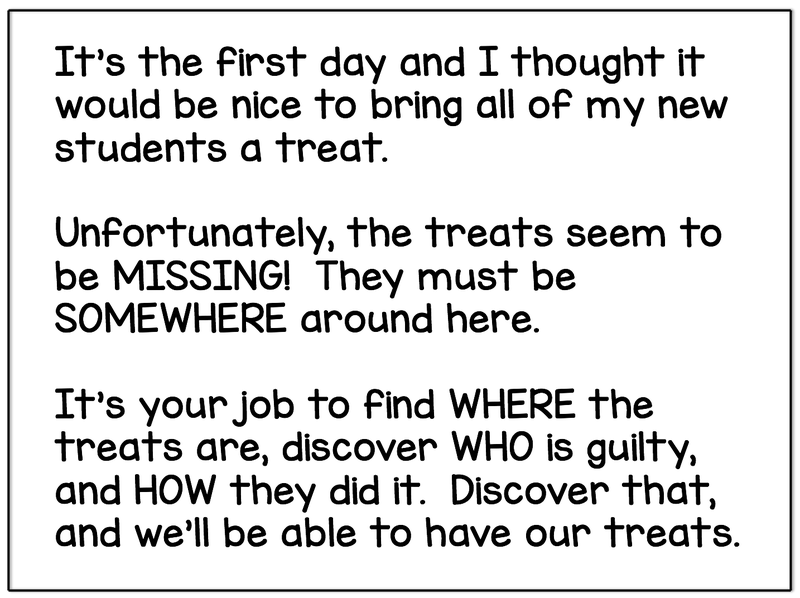 Finally, students will discover who is the suspect and where the treats are. 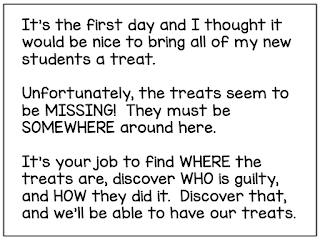 Once they discover that, they can head off to that location to get their treat. I had fun making this activity, and once again thank you to Stephanie Howell who came up with original activity. I just made it specific for my class. You can use this idea to work with any subject area. 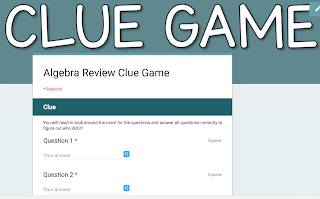 I hope this inspires you to make your own clue game - let me know how it goes!